How can I benefit from using RTVS? Microsoft recently launched version 1.0 of R Tools for Visual Studio (RTVS), an add-on R environment that integrates into Visual Studio. If you are already using R Studio for advanced analytics, why consider RTVS? During a 1-hour webinar, BlueGranite will show you the possible benefits of using RTVS when managing Microsoft-oriented analytics and data science projects. Check out the recorded webinar below! For over ten years, David has employed skills in technology development, decision science, data engineering and analysis, systems analysis, and project management. David's work is almost exclusively on the Microsoft data and analytics platform, building BI and advanced analytics solutions on Azure Machine Learning, Microsoft R, and Power BI. 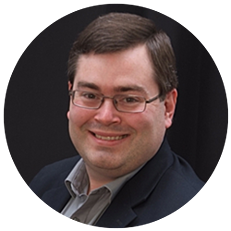 He is active in the Microsoft community, speaking at PASS events and SQL Saturdays around the U.S.